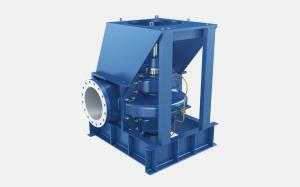 Marine pump is a kind of hydraulic machinery which is widely used on ships. It is driven by the original motive (usually motor) and then the mechanical energy is converted into liquid pressure energy, potential energy, and kinetic energy. The liquid pumped in the ship is mainly water and oil. 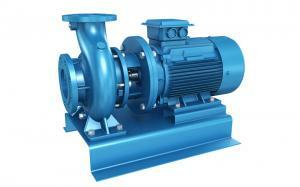 It can be classified according to different situations, generally consisting of pumps, pipes, and valves. In order to pump seawater, fresh water, fuel oil, lubricating oil and other liquids, the ship needs a certain amount of pumps of different types. Generally, in the cabin, it is necessary to install major oil pumps and water centrifugal pump such as bilge pump, fuel and oil transfer pump, boiler pump, cooling water pump, ballast pump, sanitation pump. 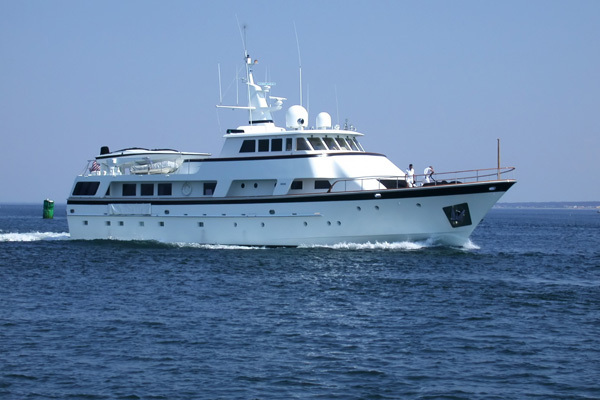 In Marine machinery equipment, Marine pump is a kind of important ship matching product with large quantity and variety. It is widely used in ship power system, fire fighting system, cooling system, ballast system, stripping system, life service, security assurance and other special systems, also equipped with some auxiliary device. In general, the number of pumps of various types and uses accounts for 20-30% of the total machinery, and the total power is 5-15% of the total equipment. 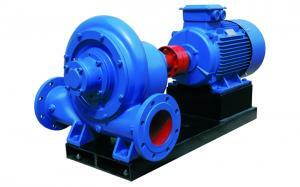 In addition, a marine pump is widely used in marine engineering equipment, shipyard, port wharf and so on. There are many occasions requiring pumps in the ship system. Here are some common types of marine water pumps introduced according to the principle of working. The volumetric pump absorbs and discharges liquid by the periodical change of working volume caused by the movement of the working parts. When the working volume increases and the pressure decreases, the fluid is inhaled. When the working volume decreases and the pressure rises, the liquid is expelled, and the pressure of the liquid can be increased by pressing. It can be divided into reciprocating pump and rotary pump according to the movement of moving parts. The former has piston pumps and plunger pumps; The latter has gear pump, screw pump, vane pump, etc. 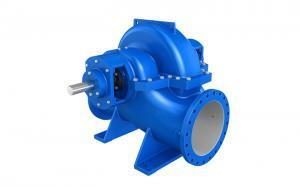 The impeller marine water pump mainly increases the liquid kinetic energy to increase the liquid energy. It depends on the impeller to drive the liquid to make a high-speed rotary motion, continuously producing suction and drainage, The mechanical energy can then be passed to the liquid, which can increase the pressure of the liquid and achieve the purpose of conveying the liquid. According to the characteristics of impeller and flow channel structure of pump, it can be divided into a centrifugal pump and vortex pump. The jet marine water pressure pump is produced by a working fluid with a certain pressure to produce a high-speed jet fluid in the nozzle. The energy of the directed fluid is then increased by the momentum exchange. According to the different working fluid, it can be divided into water jet pump, steam injector and air injector. Apart from the principle of work, the pump can be divided into vertical marine bilge pumps and horizontal pumps. According to the suction number, it is divided into a single suction pump and double suction pump; The pump can be divided into electric pumps, steam pumps and diesel pumps according to the driving force. 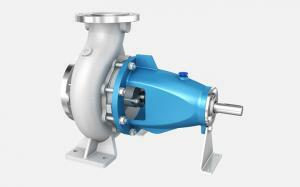 The marine water pumps are mostly electric pumps. Like fuel pump, lubrication pump, sea water pump for seawater desalination, fresh water pump, a hydraulic pump for steering gear or other hydraulic deck machinery, boiler pump, cooling water pump, condensate pump, etc. Like bilge pump, ballast pump, fire-fighting pump, daily water pump, daily water pump, hot water circulation pump, and a general pump for ballast, fire-fighting and bilge pump. Some special purpose vessels have special pumps for their special operations requirements, for example, oil pumps, dredging pumps, salvage pumps, water jet propulsion pumps, fishing pumps on unnetted fishing vessels, etc.